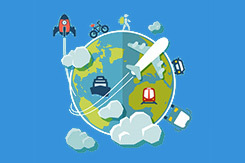 Why would I choose online travel agency ONLINE CROATIA? 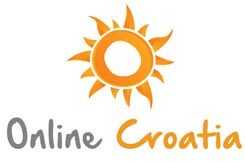 Online Croatia is a specialist in holiday rentals in Croatia. 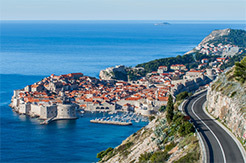 Our main motto is to offer a quality and individual travel service in best parts of Croatia. That way we have opportunity to present the best of Croatia and to have satisfied quests. That is the reason we choose Dalmatia as our base. All accommodation units in our internet catalogue are personally checked and visited by our representative. Also, all guests who stayed in our accommodation units are asked to rate location, beaches and equipment so this way they can help future guest in choosing perfect accommodation. In which places you can offer accommodation in Croatia? How does Online Croatia agency operate? Can you explain the prices of the private accommodation in the Online Croatia offer? 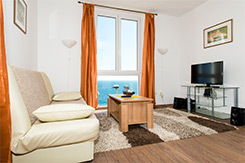 Prices are for every accommodation unit in euros per night. In description for each apartment on link PRICES you will see rate for each accommodation unit. If it is written OBJECT/NIGHT that means it is the same rate for 1 or maximal number of persons in that unit. If it is written for example price per 1-4 PERSONS/NIGHT and price per EXTRA BED that means it is same rate for 1 or 4 persons just fifth or sixth person needs to pay price extra price. All prices are all inclusive- no extra payments or hidden fees. The price of the rent includes the use of electricity and water, sojourn tax, dishes, cutlery, linen, towels , SAT TV, air condition (if there is one in accommodation unit) and final cleaning. So, no extra or hidden fees. Booking fee includes fee charged by Online Croatia together with no risk policy. No risk policy means if you have valid reason you cannot travel, Online Croatia returns you back deposit payment! You can read more at HOW TO BOOK AND PAY WITH ONLINE CROATIA . You can reserve directly by filling out the booking form. If you choose option I WANT TO BOOK THIS APARTMENT IMMEDIATELY you will have to make prepayment within 24 hours. You can also fill the form YOUR WISHES and we will send you offer for several accommodation units from our offer which suits all your needs. You can also simply send us E-MAIL ONLINE CROATIA or call as on telephone 00385 (0) 20 435 555. If you miss the deadline for the advance payment you are obligated to inform the agency. If you do not contact us, we will consider reservation cancelled. Do I get some confirmation for my reservation or voucher? Yes, after the payment is done we will send you voucher by email. The voucher is the guarantee that you booked a service from our offer. You can find all relevant information related to the reservation on the voucher. Besides contact information about the owner, on the voucher you can also find information about the guests and the reservation: name and surname of the guest, number of persons, date and the amount you need to pay when you come in accommodation unit. If more customers than are stated on the voucher arrive at the accommodation unit, the host has the right to deny the extra customers accommodation or to accommodate all of the customers at extra charge directly made to the host. Therefore, it is crucial to register all the people. It is also necessary to enter all the children even the babies into the booking form. Arrival in the accommodation is after 2 p.m. and departure is before 10 a.m. If you need to come before or stay after that time please inform the owner by phone or you can contact us earlier by e-mail. If owner does not have any other guests arriving we will be happy to give you that opportunity to come or to stay few hours earlier or later, of course without additional payment.You need to contact the owner and inform about arrival time. If you cannot reach the owner you can contact us and inform about expected arrival time. How to reach the accommodation unit? Where am I to pick up the keys? You should pick up the keys from the owner, on the spot. The best is to call the owner (telephone number on voucher) one hour before arrival. Are bed linen and towels included in the price? The bed linen is included in the price. As far as towels they are also included in price in most of the accommodation units. You can check this information for each unit under link DETAILS under EQUIPMENT. Why do I need to give passports to accommodation owner? According to Croatian low all guests need to be check in Tourist board. That is the reason why renters need your travel documents. Is final cleaning included in price? The accommodation unit owner will handle the cleaning after your departure. However, you're required to leave the unit in a neat and undamaged condition. Do I need to pay entire rent rate although less people than indicated in voucher are coming? Entire rent rate indicated in voucher is to be paid even in the case when accommodation unit is used by less people than indicated in voucher. There is an exception for object with price per EXTRA BED in case you do not use that bed. Do I need to pay entire rent rate although I come later or leave earlier in accommodation unit? Entire rent rate indicated in voucher is to be paid even in the cases when customer is late and he takes accommodation unit in rent with one or more days of delay. If the customer needs to stop the use of accommodation unit before the departure data indicated in voucher, the host is not obligated to refund - him the days he will not use accommodation unit. If the customer does not come inside of 24 hours from the arrival date, the host is not obligated to hold accommodation unit for him anymore. The guest is required: to pay balance directly to the host in cash first day of arrival, to obey house rules in accommodation units and to have good relations with the host, to produce the confirmation of payment (Voucher received by mail or email) upon arrival with travel documents. The guest is obligated to check whether a visa is necessary for the country where the destination is located or for neighbouring countries. Should the guest not follow the above listed obligations, the guest is liable for caused damage and must cover the expenses. By confirming the reservation, the guest accepts to pay for all damages caused directly to the host. If the guest does not obey house rules in accommodation unit (especially disturbing other guests or neighbours after 11 p.m.) the host has the right to stop the rent without obligation of any refund to the guest. Do I need to pay rest of the amount directly to the owner in euros or in kunas? You can pay in euros and in kunas as well. Can I pay rest of the amount with credit card or bank payment? No, unfortunately that is not possible. If you do not want to carry cash you have 2 possibilities to take cash from bank machines in Croatia (in kunas) or to pay directly to Online Croatia full amount the latest 15 days before arrival in apartment. Who do I turn to in case I need help or recommendation before or after coming to accommodation? Which travel documents are required for entry in Croatia? On link DETAILS under NOTICES for each accommodation unit you can see are pets allowed in that particular object. If it is not written that it is allowed that means that it is not allowed to bring pets in that accommodation unit. If it is written that pets are allowed that still means you need to inform agency about coming with pets. Where can I rent a car in Croatia? What is the difference between apartment, studio and room? Room is accommodation unit which consists from only one or more bedrooms and private bathroom. Private or shared kitchen and/or terrace can be parts of some rooms (details for each room you can see on link DETAILS). Apartment and studio are accommodation units which necessarily have their own private kitchen and bathroom. Studio is accommodation unit where bedroom and kitchen and in one space and private bathroom is separated. How can I advertise an accommodation on your web-site? Where can I obtain fishing and underwater fishing licenses and find out more about diving?